Fitting generally takes a day for our two man team. After they have fitted the veranda they will make sure that the site is left clean and tidy. They bring their own brushes and hoover to enable them to sweep and clean up effectively. Where there is an element of bespoke workmanship this will usually be done before the veranda is fitted. In the case of glass which needs to be cut to fit round drain pipes this has to be done at the manufacturing stage. If there are certain building jobs which need to be done to enable the fitting to proceed these will be undertaken on site on the day. There are occasions when there will have to be building work before a veranda can be fitted, such as raising the height of a wall. This can either be done by our own builders or arranged separately depending on which is the most cost effective for the customer. 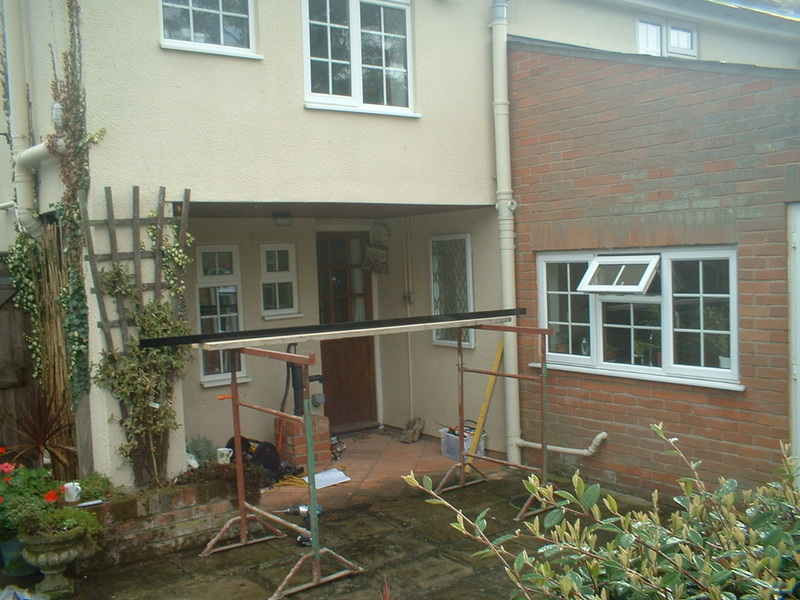 If scaffolding needs to be arranged we will arrange this after consulting with the home owner. If you need to have an awning fitted we can arrange for a specialist fitter to visit to do this. Contact us on our contact page for this service.